John Deere is expanding its lineup of Worksite Pro attachments with the addition of its new 90-inch Light Material High-Capacity Bucket. 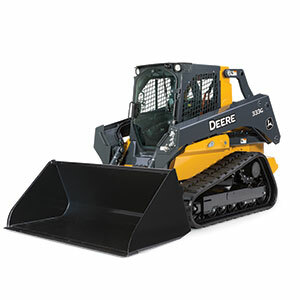 Designed for use with the G-Series skid-steers and compact track loaders (CTLs), the bucket features a high back for maximum capacity to cut through piles of snow, mulch or other light materials in large quantities. The 90-inch light material bucket has a heaped capacity of 54 cubic feet and can carry more material per load than previous John Deere offerings. With the universal, self-cleaning Quik-Tatch attachment system found on all John Deere skid-steers, CTLs and compact excavators, the machine can easily add and remove the Light Material High-Capacity bucket in seconds. The new attachment is backed by John Deere parts, service and warranty coverage.